The Hawks first team looked good and finished 3rd overall at the 2017 Ariel Re Bermuda 7’s Tournament. The Ariel Re Bermuda 7’s Tournament was held at the Bermuda National Sports Arena in Hamilton, Bermuda. In addition to the tournament, the team was able to explore the Island and check out Bermuda’s beautiful beaches. The first team “Hawks White” went 2-1 in pool play. They had nice wins against West Chester and the University of Albany. In their final pool match, the Hawks lost a tough one against a strong Kutztown team. Heading into day two, the Hawks were seeded sixth and had a quarter final match against Iona College. In the quarter final match, the Hawks got two scores from freshman Noah Niumataiwalu (’20) and a score from Chris Curcio (’18). Thomas Cuddihy (’18) put the game away with a late score in the match to send the Hawks to the semi finals. 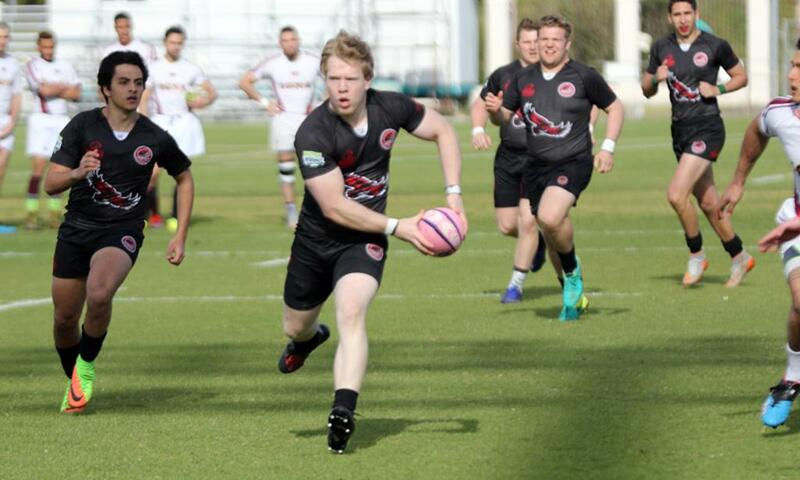 In the semi finals, the Hawks played against the Ariel Re Bermuda team. The Hawks controlled the first half and scored three times for a halftime score of 15-5. In the second half, Bermuda rallied back scoring two times and converting one to take a 17-15 lead. In the closing minutes, the Hawks were pressing Bermuda and appeared to be set up to score the game winner but were given a costly penalty that Bermuda quickly kicked to touch to close out the game. With the loss, the Hawks would play Kutztown “2” team for 3rd place. In the match, Kutztown would score first but the Hawks would rally back when Curcio raced down the sideline and scored underneath the posts. The score was followed by another Hawk score from Jimmy Wolfer (’17) who had a beauty of a kick and chase that he was able to collect and race in for a score. Greg McTiernan (’17), Aram Keshgegian (’18), and Mike Hoffman (’19) also contributed a score each for the Hawks. At the final whistle, the Hawks would win 31-7. The second team “Hawks Black” had moments of good play throughout the tournament but could not string enough of them together to get a win. In pool play, the Hawks played Iona College close. Brendan Shields (’18) would have a nice score in the match. The Hawks then struggled against Stony Brook and Rowan University to go 0-3 in pool play. On day two, the Hawks played in the Bowl Round Robin. Again, the Hawks looked good but lost some close ones to Norwich, UPenn, and Albany. Michael Weber (’17) and Andrew Sullivan (’20) both played well and each had a score in the Norwich match. And Dan Murray (’20) who played well on the outside had two scores in the Albany game. Bermuda 7’s was a good starting point for the Hawks as they are heading into the heart of the 7’s season. The event was well run by URugby and Bermuda Rugby and the accommodations were great. A special thanks goes out to all the parent’s who made the trip down to Bermuda to support the team. 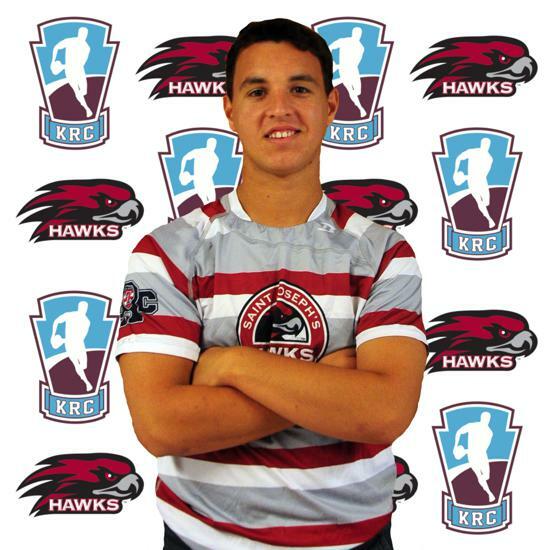 Up next for the Hawks is Media 7’s and Keystone 7’s on March 25th. 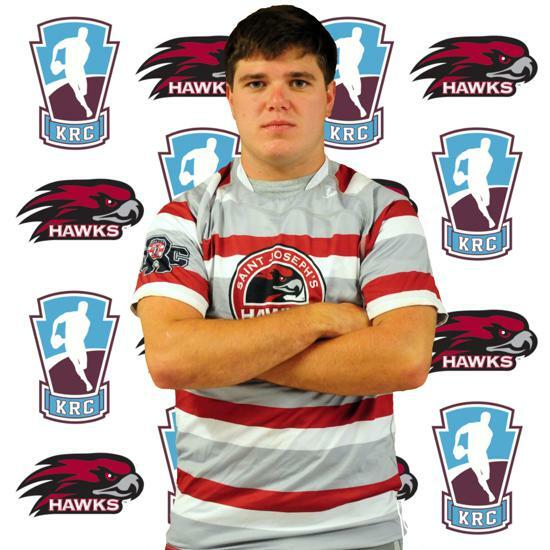 The Landmark Americana Man of the Match honors for the Hawks "White" team goes to captain Jimmy Wolfer ('17). Wolfer had an impressive performance during the tournament and had a total of 35 points for the Hawks. Congrats Jimmy!!! The Landmark Americana Man of the Match honors for the Hawks "Black" team goes to Andrew Sullivan ('20). Sullivan was solid on defense and had a nice score against Norwich. Congrats Sully!! !